This week on his Fox show, Glenn Beck encouraged his listeners to broach the subject of food inflation and other political issues with family members this holiday without "talking about politics" or telling anyone, "Glenn Beck said...." (Apparently Beck is aware of the toxicity of his name.) As usual, Media Matters for America, a liberal watchdog of conservative media, is on top of the distortions and lies that Beck is telling his minions to spread over Thanksgiving dinner. One has to wonder how many of his ardent subjects were told that the price of turkey was 1/3rd to 1/4 the cost it was last year, putting to rest Beck's misinformation with common information. 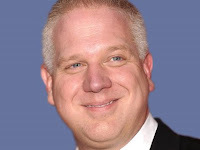 Media Matters offers the facts in counter-point to Beck's false assertions. While advising his Fox News viewers to talk about inflation at their Thanksgiving dinners, Glenn Beck falsely claimed that the government removed food and energy prices from its measure of inflation to hide rising prices, that a survey showed economists are "worried" about inflation, and that Social Security recipients are not receiving a cost-of-living adjustment because the government "changed the calculation." BERNANKE [video clip]: -- rates of inflation, the constraint imposed by the zero lower bound on nominal interest rates is too tight. The short-term real interest rate is too high, given the state of the economy, and the risk of deflation is higher than desirable. BECK: Ah, yeah. OK. George Soros says the same thing. He says in "spooky dude" voice, it is -- "It is the U.S. that is not in the position of Europe's heavily indebted countries, which must pay heavy premiums over the price at which Germany can borrow. Interest rates on U.S. government bonds have been falling and are near record lows, which means the financial markets anticipate deflation, not inflation, and I'm a spooky dude." All right. They don't care. And you know what? George Soros and Ben Bernanke ain't going out and doing the shopping. Mom and Grandma are. Your wife is. And inflation isn't even computed like it used to be computed. The government figured it out. The government realized that people could recognize how bad things actually were, so they changed how we calculated it. So, in other words, the TV could say, "There's no inflation," and you'd be going, "I'm broke. How's that happening?" Now, they calculate inflation without adding in the price of food and energy. Oh, well, other than those going up, we're set. BOLLING: The government will tell you, people will tell that you we don't even have inflation. The reason for that is because the government puts out an inflation number that removes food and energy. How convenient, right? Because the only two things that we really use every day -- food and energy. So you remove that and things don't look that [inaudible] bad. BLS also states that the "prominent legislated uses of the CPI," such as Social Security benefits, individual income tax parameters and Treasury Inflation-Protected Securities are based on the "All Items" indices, which include food and energy prices. Why are food and energy prices typically more volatile than other prices? To understand why the categories of food and energy are more sensitive to price changes, consider environmental factors that can ravage a year's crops, or fluctuations in the oil supply from the OPEC cartel. Each is an example of a supply shock that may affect the prices for that product. However, although the prices of those goods may frequently increase or decrease at rapid rates, the price disturbances may not be related to a trend change in the economy's overall price level. Instead, changes in food and energy prices often are more likely related to temporary factors that may reverse themselves later. CPI data showed that the price of butter increased by 19.1 percent during the 12 months ended Sept. 30, 2010, while the price of bacon rose by 15.7 percent, lamb increased by 9.4 percent and milk increased by 8.3 percent. Meanwhile, BEA statistics show that certain broad food categories rose faster than the food-sector average: a 3.4 percent increase for meats and poultry, a 3.4 percent bump for milk, dairy products and eggs; and a 2.8 percent hike for sweets and sugar. Indeed, in its most recent monthly report, the BLS stated that the food index rose 0.1 percent in October and that dairy products and meats increased in price, while fruits, vegetables, nonalcoholic beverages, cereals, and bakery products declined. Beck claimed NABE survey shows economists are "worried about inflation"
BECK: Nonprofit food distribution agencies are struggling at record-breaking pace this year. Their demand is outrageous. This is a picture from Northwest Washington, D.C. There were 3,000 people that waited in line for grocery handouts. Three thousand people. Bread lines. Do you remember breadlines? They're back in America in 2010. Reuters said over the weekend -- the Reuters said that economists is worried about U.S. inflation. Now, hang on just a second. Inflation? I've heard the Fed, Bernanke say that -- no, no, no, we're not worried - we're worried about deflation. But a national survey for the National Association for Business Economics [NABE] ranked inflation a bigger worry than deflation. Sure, your house may deflate in price, but everything else is going to go up. NABE survey: "Growth Projections Remain Sluggish: Continued High Unemployment with Low Inflation." Contrary to Beck's claim that the survey showed economists are worried about inflation, NABE itself released the survey with the headline: "Growth Projections Remain Sluggish: Continued High Unemployment with Low Inflation." Panelists are sanguine about avoiding deflation. For example, core PCE inflation (excluding the volatile food and energy components) is predicted to rise gradually from a projected 1 percent at year-end 2010 to 1.5 percent by the end of next year. When asked about their level of concern about prices, NABE panelists continue to rank "inflation" as a greater worry than "deflation," but both concerns are overshadowed by other issues, such as the federal debt, high unemployment, and increased business regulation. In addition, roughly a third of panelists view the Federal Reserve's recently announced plans to purchase additional longer-term Treasury securities as "somewhat diminishing the risk of deflation." Another third view these plans as "somewhat increasing the risk of undesirable inflation." Finally, panelists increased their forecast for oil prices somewhat for both 2010 and 2011. About a third of NABE panelists view the Fed's second asset purchasing program as somewhat lessening the risks of deflation, while another 33 percent saw the step as risking inflation. Still, they forecast the Fed's preferred measure of consumer inflation -- the personal consumption expenditures price index excluding food and energy -- to rise to 1.5 percent by the end of 2011 from a projected 1.0 percent this year. That is below the Fed's considered comfort zone between 1.7 percent and 2.0 percent. Inflation remains subdued as the economy slowly recovers from the worst recession since the 1930s. Core consumer prices rose 0.6 percent in October from a year ago, the smallest increase since records started in 1957. BECK: Hey, Grandma. Things are getting more expensive. Ask this question: "Is your Social Security check going up to cover the costs next year?" The answer is no. Why? Because they changed the calculation. If costs are going up 30 percent on energy and food and other essentials, how does Grandma make ends meet? How does she do that? She doesn't. The cost-of-living adjustments, or COLAs, are automatically set each year by an inflation measure that was adopted by Congress back in the 1970s. Based on inflation so far this year, the trustees who oversee Social Security project there will be no COLA for 2011. Federal law requires the Social Security Administration to base annual payment increases on the consumer price index for Urban Wage Earners and Clerical Workers, which measures inflation. Officials compare inflation in the third quarter of each year -- the months of July, August and September -- with the same months in the previous year. If inflation increases from year to year, Social Security recipients automatically get higher payments, starting in January. If inflation is negative, the payments stay unchanged. Social Security payments increased by 5.8% in 2009, the largest increase in 27 years, after energy prices spiked in 2008. But energy prices quickly dropped. For example, average gasoline prices topped $4 a gallon in the summer of 2008. But by January 2009, they had fallen below $2. Today, the national average is roughly $2.70 a gallon. As a result, Social Security recipients got an increase in 2009 that was far larger than actual inflation. However, they won't get another increase until inflation exceeds the level measured in 2008. The Social Security trustees project that will happen next year, resulting in a small increase in benefits for 2012. Social Security spokesman Mark Lassiter said the agency has no leeway to increase payments if the inflation measurement doesn't call for it. Democrats have proposed $250 payment to make up for lack of COLA. As the AP reported on October 15, President Obama and the Democrats called for a $250 bonus payment to Social Security recipients after the Social Security Administration announced that "inflation has been too low since the last increase in 2009 to warrant a raise for 2011." The issue could reportedly come up during Congress' lame-duck session. Obama called for a similar payment in October 2009, since there similarly was no COLA that year. BECK: Progressives have been fighting for decades to achieve the power to decide for you, and erase the Republicans, now they just want to call it a democracy. They've come a long, long way, bit by bit, piece by piece, they have been chipping away your individual freedoms. We call them progressives now, but back in Samuel Adams' day, they used to call them tyrants. A little later, I think they're also called slave owners -- people that encourage you to become more dependent on them, and it's working. I mean, when you were growing up, would you ever, ever remember seeing your town, people flocking to government offices over rumors of stimulus checks being handed out? Did you? Well, that's exactly what happened in Detroit. All the lines -- yeah, those lines, that's rumors of free money, Obama cash. It also happened in New York and Ohio. BECK: And I'm danger to the republic. Nothing better than free government money that we don't know where it came from and we cheer every time they do it. We cheer for cash for clunkers. We cheer for the ASPIRE Act, that's $500 savings accounts for all babies born in the U.S. We cheer for the $250 check Obama writes for Social Security recipients, like little mice we cheer at the crumb that we get off the table. It's no longer "Ask what you can do for your country, it's what's Obama going to give me?" Review conclusion: Multiple false claims are just another day on the job for Mr. Beck. One can argue whether Beck is ignorant of the facts or purposely spreading lies. If the former is the case, then he is not qualified to have the platform that FoxPAC owner, Rupert Murdoch, pays Beck to use. If the latter is the case, then Beck is a liar. Charlatan or liar? Only Beck knows for sure, and he's not talking (about it). What is Glenn Beck getting nervous about?